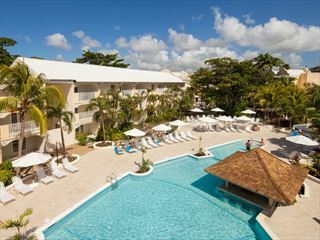 Overlooking the picturesque West Coast of Barbados, the Sugar Cane Club Hotel & Spa provides a warm welcome and a ‘home away from home’ vibe. 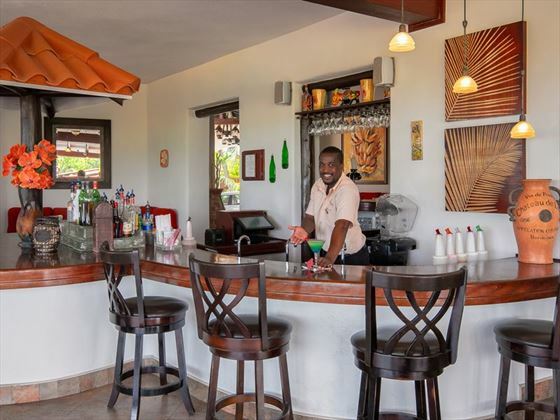 The staff here are always attentive and friendly, helping to create a relaxed environment during your stay. 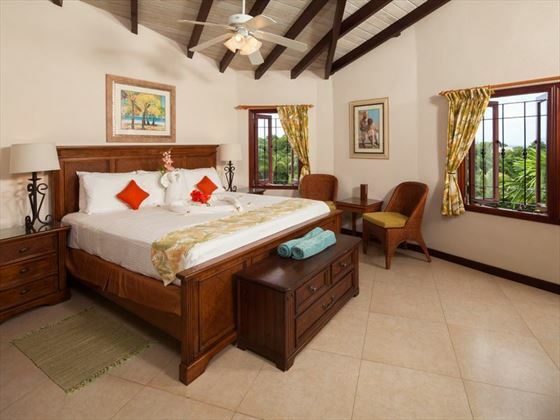 Offering a selection of inviting suites and villas, there’s plenty of scope for tailoring your holiday to suit your needs. 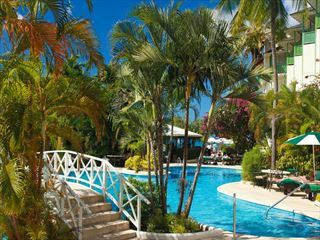 The hotel houses two large swimming pools, coupled with a pool bar for refreshing drinks while you’re topping up your tan. If you want to indulge, head to the spa for manicures, hydrotherapy and fantastic massages. 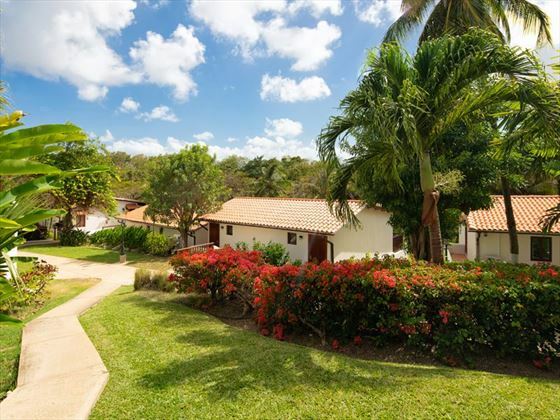 There is a gym here and squash courts if you want to keep active, as well as nature walks for relaxing strolls through the exotic landscape. 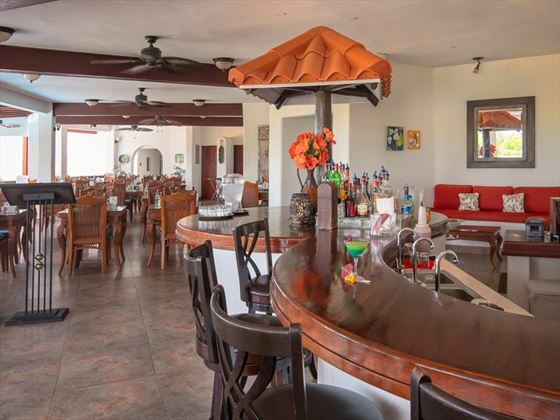 The main restaurant serves up a selection of local dishes and international classics, or you can head to the rum shop which serves authentic Bajan cuisine. If you want to explore, there is a shuttle bus service to the beach and nearby towns – great if you fancy a spot of shopping or sightseeing. Top tip: We recommend seeking out the serenity areas, where you can sip a cocktail beneath the gazebos and take a dip in the pool. 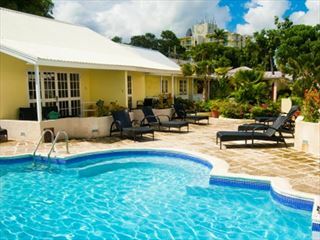 This boutique hotel is nestled on the luxurious west coast of Barbados, offering an intimate and tranquil location full of classic Caribbean charm. 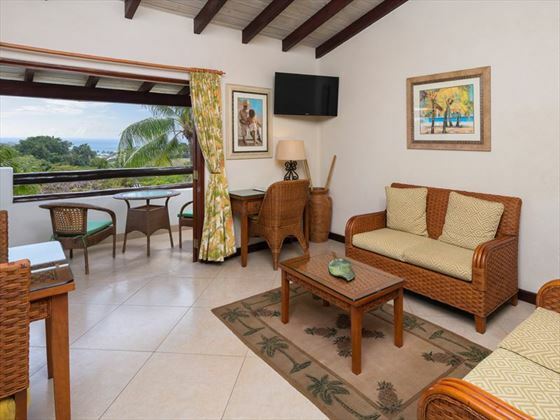 Stylish with tropical décor, these rooms are located on the ground floor with a private patio overlooking gorgeous garden views. 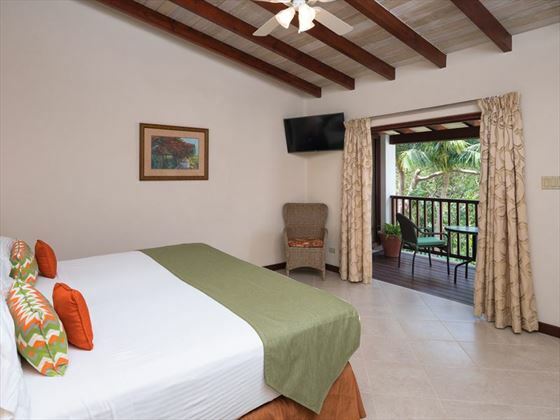 Set on the upper floors of the hotel, these spacious and bright suites offer a beautiful glimpse of the Caribbean Sea and luscious manicured landscapes. Appointed with a heightened level of private living space separated over a modern living room, kitchenette, balcony, dining area and outside balcony or patio. 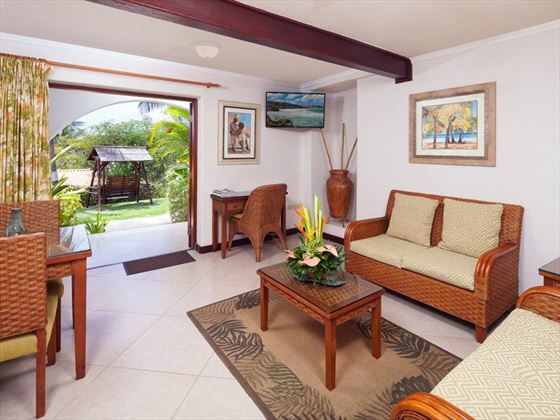 Located on the ground floor with sublime views of the tropical gardens, these decadent suites are incredibly comfortable and well-appointed with rich, mahogany décor. 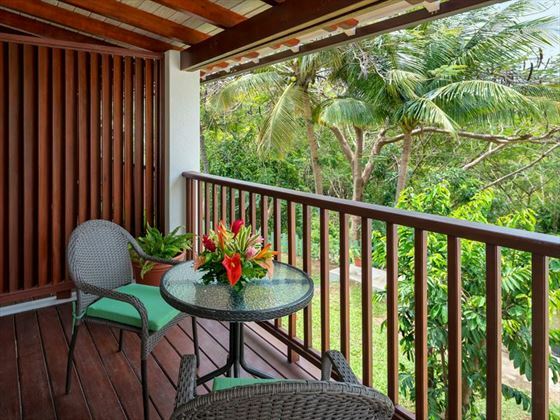 Featuring spectacular vistas of the luscious fauna and tropical gardens, these expansive suites are beautifully-appointed with luxurious décor and sumptuous furnishings; separated over two spacious bedrooms, a comfortable living and dining area, and a gorgeous private balcony. 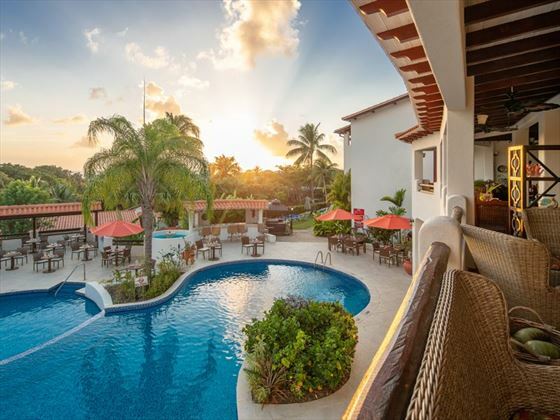 Set on the top floor of the hotel, this extravagant penthouse boasts spectacular vistas of the Caribbean Sea, glistening pool and luscious country. Featuring two spacious bedrooms, a full kitchen, dining room, living area and stunning en-suite bathroom. Capturing the vibrant flavours of Barbados, this elegant restaurant serves an eclectic blend of exotic local fare and delectable international cuisine to enjoy for breakfast, lunch and dinner in a delightful setting with breath-taking views of the gardens, pool and ocean. An authentic Barbadian eatery nestled away in the resort’s beautiful tropical scenery, Sandy’s Chattel offers the perfect setting for a romantic, serene evening with utterly wonderful Bajan cuisine, cooked to the finest quality by a team of expert chefs to delight your taste buds. The restaurant also offers a fantastic list of incredible rums to enjoy throughout the day. As you lounge beside the pool, enjoy a great selection of refreshing beverages, light bites and a daily afternoon tea from 4 to 5pm. Weather permitting, indulge in a selection of culinary delights beside the pool with spectacular views. Held on different nights throughout the week, you may enjoy a delicious international buffet on Mondays, a flavourful presentation of Caribbean specialities on Thursdays, and authentic Bajan cuisine on Saturdays. The hotel accepts Children aged 14 years and over. Beach access on Retreat Beach provided. 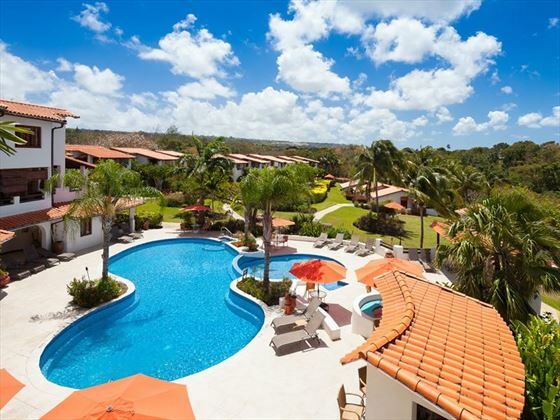 Retreat beach is a short stroll away from the hotel or a scheduled shuttle service is also provided. The following additional facilities are provided complimentary at the beach for those on the All Inclusive plan or at US$25 per person for guests on other meal plans.